Female led businesses – a ripe opportunity for economic growth? Let’s face it. Ireland needs all the economic upswing, enterprise growth and entrepreneurial talent it can harness at present. A recent UPC/Amarach report projects Ireland’s internet economy to double to 6pc over the next three years, translating into the employment of 18,000 if Irish industry is to keep pace our EU neighbours. So why does over half our population not even represent a fifth of our country’s entrepreneurs? It seems like a no brainer to me, if we are to meet our online projections, we need both genders creating quality enterprises … at pace. If more Irish women were encouraged and supported into running their own businesses it would add millions to the exchequer, contribute thousands to employment and make significant inroads towards economic recovery. Back in 2007 Mary McAleese stated that “If women in Ireland were to become entrepreneurs at the same rate as men in Ireland, there would be as many new entrepreneurs in Ireland per capita as there are in the United States.”. However, not much has changed since, and with an online gap to bridge (Britain has more than double our internet economy) there’s a risk that we feed economic growth to our international neighbours. Too much of Ireland’s online purchasing today is purchased over US and UK websites. So, in light of this, and looking ahead to International Womens Day on March 8th, why is it that Irish women shy away from running their own business? Why do we have one of the lowest rates of female entrepreneurs in the developed world? Why the lag in female entrepreneurship? Yes, the high cost of childcare plays a role, and compared to the US some Irish ‘paid’ employment offers very compelling maternity pay in contrast with what you earn working ‘for yourself’. Add into the mix that one of the prime motivators for women in starting their own business is because it appears on the face of it to offer more flexibility but the reality of the hours required often differs. The issue of ‘family responsibilities’ is one where there is a major discrepancy between male and female entrepreneurs, the general thinking being that women are less likely to be willing to spend as many hours away from the family home as men may be. Not always a recipe for fast paced business development, but issues I understand only too well having 2 children myself under 3 years of age. The GEM also reports that women are 5 times more likely to set up their own business as a result of meeting other women entrepreneurs. It’s well known that women naturally tend to collaborate, share information and support other female entrepreneurs. In a recent article Sheryl Sandberg COO of Facebook said ‘men tend to attribute their success to innate qualities and skills, women attribute their success to luck and help from others’. The local enterprise boards in Ireland have recognised this need and actively promote excellent business networks for women. This is not meant as a sympathy plea and I wouldn’t describe myself as a feminist. But this drive for more female-led digital businesses is important. A lot of emerging female run businesses are microenterprises and don’t typically don’t fall within the profile for government support who focus on manufacturing, internationally traded services, high potential start-ups etc. Enterprise Ireland has recently launched a feasibility funding initiative … but more supports are needed. For my part I want to do my bit. Enter #DigiWomen – a project I am supporting along with co-founders Rita Tobin of Asar and Pauline Sargent of Social Zavvy. It’s an exciting initiative that aims to create an interactive, online platform for women running their own digital businesses (ie any female led business with an online presence). The premise is simple. I meet so many women starting out and there’s a common thread to the challenges. They feel they lack the expertise – be it sales, marketing, technical, communications, design, business development and so on. We want to play our part by starting a series of practical, visible projects to educate and inspire women to scale their businesses. We want to create a connected, educational community of professionals who are interested in supporting other women in reaching their potential, whether that be running a sustainable business, becoming thought leaders for others or becoming a higher performing SME. DigiWomen will be a free to join, member based online organisation. 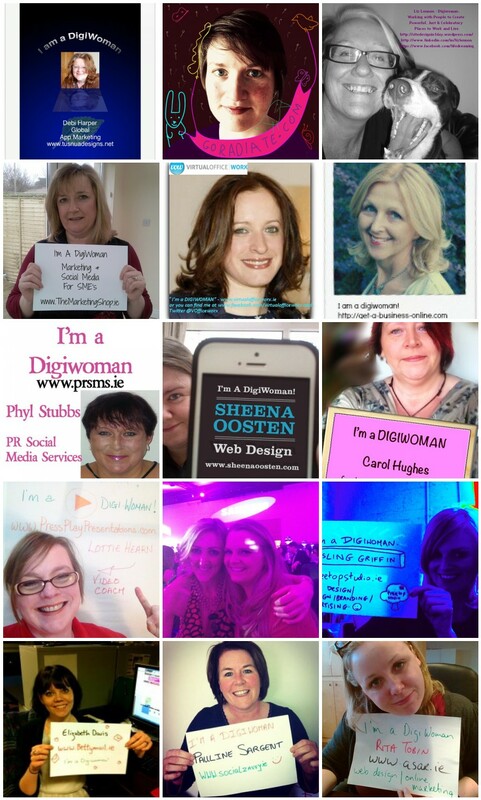 We have been asking female led digital businesses to become part of the launch by supplying an image of themselves that shows their name, their website and a visual saying “I am a DigiWoman” to digiwomenirl@gmail.com. The official launch is this coming Friday 8th March, International Women’s Day, in Fumbally Exchange and a promotional video will be produced to feature businesses who responded to our #Digiwomen call out. We will also be speaking at Digital Dublin Day in the Mansion House later that evening. 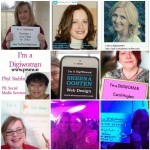 Keep up to date on DigiWomen on Facebook. Or follow the Twitter hashtag #DigiWomen for further news and updates. Our new website will be live from Friday at www.digiwomen.ie. I’ve heard it said that China is not the next big superpower … and that it is, in fact, women. Strong words. #DigiWomen – watch this space.